You are here: Home / General Information / Animals Today May 19, 2018: Caged animals at a high school prom. Captive tigers in the US. Elephant protection in Africa. Annoying things people do to their animals. The show begins with Lori’s discussion about the recent prom at Florida’s Christopher Columbus High School, where live animals were on display, including a tiger, a lemur, two macaws, and a fox. Ignorance of the needs of animals and poor planning is obvious, but it seems that some better policies will come out of it. Peter continues on the topic of captive tigers in the US, and the cruel practice of “cub petting,” followed by interesting survey results on how much people love their pets. Peter then welcomes Adam Roberts, a Washington, D.C. based non-profit consultant, with more than 25 years working to promote the welfare of animals. African elephants continue to be poached for the ivory trade, (despite an international ban on ivory) and are subject to trophy hunting. The PAMS Foundation, based in Tanzania, equips the wildlife enforcement agents with the needed gear and technological devices to protect the animals on the ground. 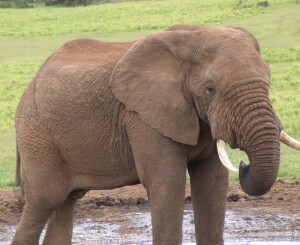 It also employs innovative strategies to mitigate conflicts between farmers and elephants. We close with a friendly little rant about annoying behaviors people do related to their their pets, which at times endangers the animals and other people.